Very nice collection of tracks, many originally released as singles by Gael Linn. Beautiful cover artwork by Jim Fitzpatrick. Various cretins continue to claim that only 100 copies were pressed, but this is untrue. At least 500 were pressed according to Gael Linn, who manufactured the discs for Wavin. Wavin is of course a multinational plastics manufacturer. 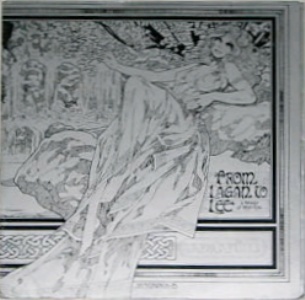 They opened a production plant in Ireland in the 1970s and commissioned a series of promotional records from Gael Linn. "From Lagan To Lee" is easily the most desireable of these.